Bradenton Area businesses that are seeking access to capital have a wide-range of choices to consider. From local resource to state programs, the EDC will assist you in discovering all of the financial advantages the Bradenton Area has to offer. Below you will find an overview of various incentives and financial resources. The SBA 504 Loan Program is a powerful economic development loan program that offers small businesses an alternative avenue for financing, while promoting growth and job creation. The SBA 504 Loan Program provides approved small businesses with long-term, fixed-rate financing used to acquire fixed assets for expansion or modernization. Created as part of the Small Business Jobs Act of 2012, the SSBCI was designed by the federal government to help states strengthen existing loan and equity programs and/or create new programs that support the financing of small businesses. The primary objective of Florida’s SSBCI program is to leverage private capital for Florida’s small businesses, which are defined as businesses with 500 employees or less. Through the SSBCI program, Florida’s small businesses have access to debt and venture capital funding that may not otherwise be available, and a flexible and non-bureaucratic resource for funding. Headquartered in Tampa, the Florida Venture Forum offers statewide educational programs attended by venture capitalists, investors, bankers, corporate executives, accountants, lawyers and entrepreneurs, providing exceptional networking opportunities for participants. In addition to regularly scheduled events, the Florida Venture Forum hosts the annual Florida Venture Capital Conference, which showcases high growth companies seeking equity financing before a nationwide audience of venture capitalists and investment bankers. Click here for more information about the Florida Venture Forum. Legislation passed by Florida Legislature in 2007 provided for the creation of the Florida Opportunity Fund, initially as a “fund of funds” program that invests in venture capital funds. In 2009, the Florida Legislature expanded the Florida Opportunity Fund’s mandate to create direct investment programs that invest in businesses and infrastructure projects. The Florida Opportunity Fund is sponsored by Enterprise Florida and is managed by Florida First Partners. Florida Opportunity Fund investment programs include the Fund-of-Funds Program, the Clean Energy Investment Program and the Florida Venture Capital Program. Click here for more information about the Florida Opportunity Fund. The mission of Bridge Angel Investors is to provide a network of successful and accessible business professionals to cultivate and support Florida’s entrepreneurial ecosystem. BRIDGE represents a unique and valuable resource to driving economic development in the Tampa Bay region and beyond. Click here for more information. The Florida Recycling Loan Program was created to provide access to capital for the purchase of equipment and machinery to expand recycling capacity in Florida. The program offers long-term fixed-rate loans at interest rates up to 2 percent below prime. The program is limited to for-profit small businesses that are either legally licensed and operating in Florida, creditworthy start-up companies or out-of-state firms considering expansions into Florida. Eligible recycling companies must have a net worth less than $6 million and have less than 100 employees. Click here for more information about the Florida Recycling Loan Program. 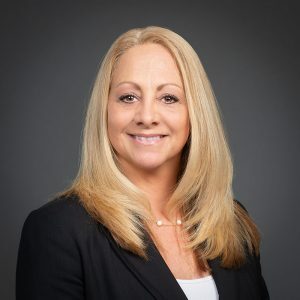 Fusion Pointe advances Southwest Florida’s innovation economy by connecting entrepreneurs with experienced mentors, who will help them build their high-tech startups into investor-ready ventures and connect them with the right funders at the appropriate time. Fusion Pointe will create additional opportunities in the local economic development community by becoming a buzzing hub of venture development, where entrepreneurs will get the knowledge, connections and potential sources of capital they need to succeed, all under one organization. Click here for more information about Fusion Pointe. Industrial Development Revenue Bonds (IDRBs) finance business and industrial expansions for firms with strong credit. IDRBs can provide low-interest loans for large projects by permitting the borrower to take advantage of long-term financing with lower than prime interest rates. The Manatee County Administrator has the authority to provide procedures for the review of the application and provide consent to issuance based upon the best interest of the county. The determination shall be based upon review of the application and other requested information for IDRB financing and shall include, but not be limited to consideration of: 1) environmental impacts; 2) jobs created; 3) relationship to economic development programs; 4) additional economic impacts; 5) nature of commitment owners and developers of the project are prepared to make to secure the commitment to provide benefits to Manatee County; 6) impact on public service and facilities; and 7) consistency with the county’s land development code and the likelihood of obtaining zoning and land use and development approvals.